Two-thirds of all purchases and half of transactions will occur on mobile devices, and half of all Google UK searches are now made on mobile! If your website isn't mobile friendly, then you are missing out. Your website visitors and customers want to be able to find information or buy products and services from their device of choice, and in many cases, this is now via a smartphone or tablet computer. 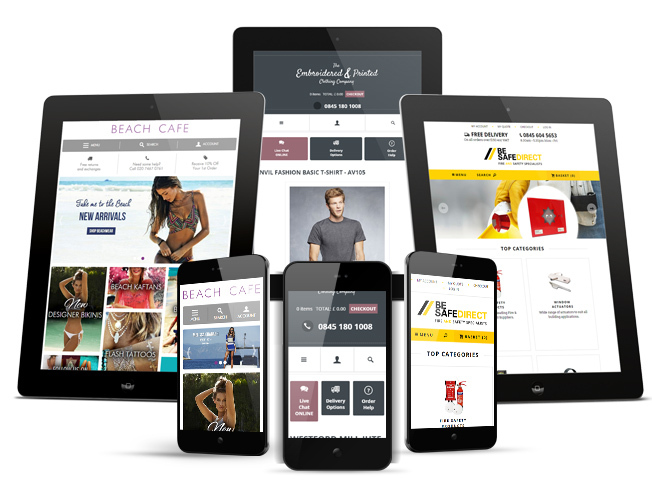 At ExtraDigital we build websites that are responsive for mobile and tablet users as standard. This means is that while you have one site to maintain the design adapts to the visitor's device, whatever size that is. Get in touch today contact us on 01227 68 68 98, or complete our simple contact form. In 2017, the rise of mobiles finally surpassed desktop searches. Stats from gs.starcounter.com, show that from May 2016 to May 2017 mobile searches went from 43% of the global market share to 51%. ExtraDigital believe that ‘the key to long term success is the ability to adapt to change.’ This statement is true in all areas of marketing and business - and web design is no different. How people access the internet has shifted significantly with an ever increasing number of consumers reaching your site through tablets and smartphones. The marketing benefits of implementing a responsive design are endless; you have one set of content maintaining inbound links to one site allowing you to focus your PPC and SEO activities which become more streamlined and efficient. This also means that the site statistics are consolidated, allowing easier tracking of visitors and monitoring results more closely. When you work with ExtraDigital, you will be able to tap into our years of experience, knowledge and marketing know-how. Many members of our team have been working in digital design and marketing for over 15 years and have the experience to understand how best to navigate the ever-changing world of the internet. As a company, we focus on what's important to you, more sales, enquiries and great access to your target audience. Our responsive website design and development is guided by industry best practice coupled with creativity and design flair. Our focus is to make sure your site is not only optimised for desktop usage but to stay ahead of your competitors by making your products and service offerings as accessible as possible regardless of the platform used. At ExtraDigital we look closely at what solutions and platforms will work best for you as a business to create the perfect responsive website. 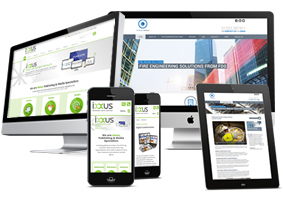 If you want to know more about responsive design for your website, contact us on 01227 68 68 98, fill out an online contact form or view our responsive design portfolio.